Yep, this is a blouse to wear to the office. We’re all on the same page here. May 6, 2015. 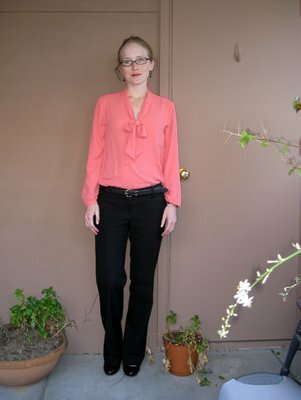 Tags: Ann Taylor, clothes, shopping, Target, What I Wore to Work Today. 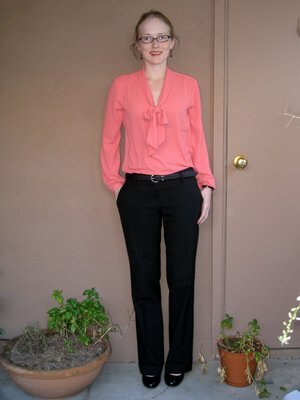 Links, Pictures, What I Wore to Work Today. Have I seen you in peachy pink before? Complements your complexion really nicely. May 6, 2015 at 7:13 am. Permalink.